United Heroes enhances all your physical activities to encourage you to be more active every day. To participate in our experiences, you must connect an app to track or record your sports activities. 👉 I use an iPhone: I connect the native app Health. Download the United Heroes app from the App Store. Create your account or log in. From the United Heroes app, go to More > Settings > Apple Health connect. Click on Turn All Categories On to allow us to access this data. Your next steps will be well added on United Heroes. You can update your list of activities on the United Heroes application from your Dashboard by clicking on the yellow Pending activities button and then on OK.
👉 I use an Android: I track my steps with my phone. 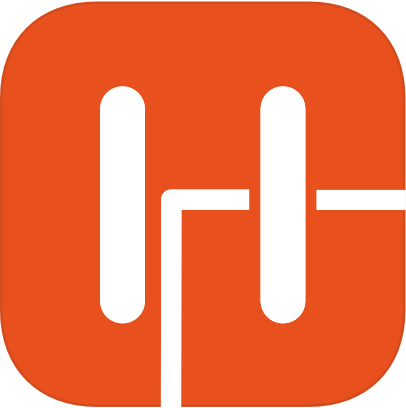 Download the Google Fit app from the Play Store and create your account or login. From the United Heroes app, go to More > Settings > Track your steps. Then switch Enable tracking to On and follow the procedure indicated. 👉 I have a connected watch or wristband. This is a TomTom, Polar, Health Mate or Fitbit: Please connect it following the procedure indicated by here. Your steps automatically detected with this accessory will be added to United Heroes. In some cases, the synchronisation of your activities takes between 24 hours under normal circumstances and up to 48 hours if you have just connected or reconnected a sports app. Remember to check your app regularly to make sure that your activities are displayed correctly. Then update your list of activities on United Heroes by clicking on the dedicated button. This is a Garmin or Suunto: Please connect it following the procedure indicated by here. Your steps automatically detected by your watch will not be added to United Heroes. This is for technical reasons. We are currently working on this improvement. In the meantime, we invite you to record each of these activities on your watch with a mode corresponding to the operation or to use one of the applications indicated in the above sections "👉 I use an iPhone" or "👉 I use an Android". It is another brand: Your watch is not compatible with United Heroes. In this case, you can easily connect it with Strava and then connect Strava to your Sport Heroes account. The list of watches compatible with Strava is available by here. I practise running and/or cycling. This is a TomTom, Polar, Health Mate or Fitbit: Your watch is compatible with United Heroes. Please connect it by following the procedure indicated by here. 👉 I already use a sports app to record my activities: If you are using one of the apps listed below, please connect it by following the procedure indicated by here. 👉 I do not use any sports apps: Download Strava. This easy-to-use app allows you to record all your outputs. Then connect it by following the procedure indicated by here. To add your lengths in the pool, you must use and connect a water-resistant watch or wristband model that allows you to register the swim. A sports app that only uses your phone to record your activities is therefore not enough. Here are the compatible brands for the moment: TomTom, Polar, Health Mate, Fitbit, Garmin or Suunto. Please connect it by following the procedure indicated by here. However, not all their models allow swimming to be recorded. You don't use a water-resistant sports watch or wristband? Good news: you will soon be able to manually add your session to our platform. I practise 🏋 other activities. On United Heroes, we now take into account the distanceless activities that you can record on your sports app (boxing, yoga, weight training, rowing, etc.). Good news: you will soon be able to manually add your session to our platform.